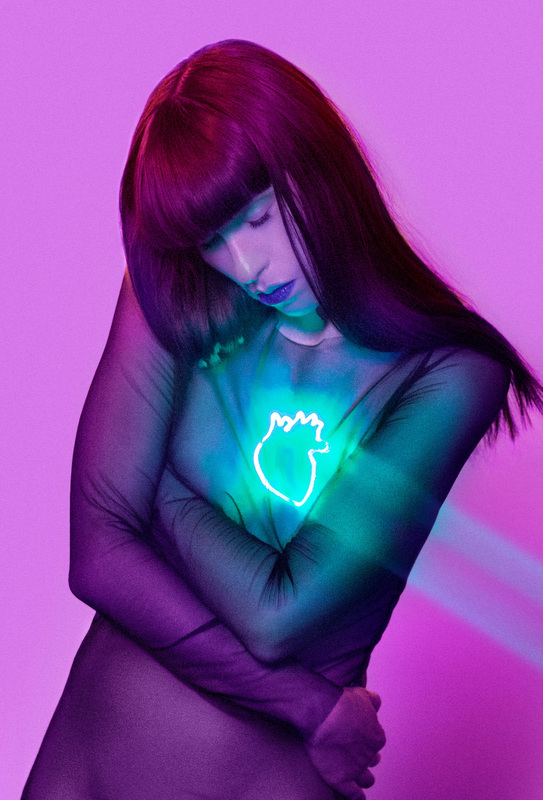 A promotional photo for Kimbra’s third studio album, Primal Heart, which drops April 20. Photo by Micaiah Carter. New Zealand singer-songwriter Kimbra first burst onto American airwaves in 2012, when her duet “Somebody I Used to Know” with Australian recording artist Gotye rocketed to the top of the Billboard 100. This was most Americans’ first encounter Kimbra and her intricately constructed music, but they were late to the party. 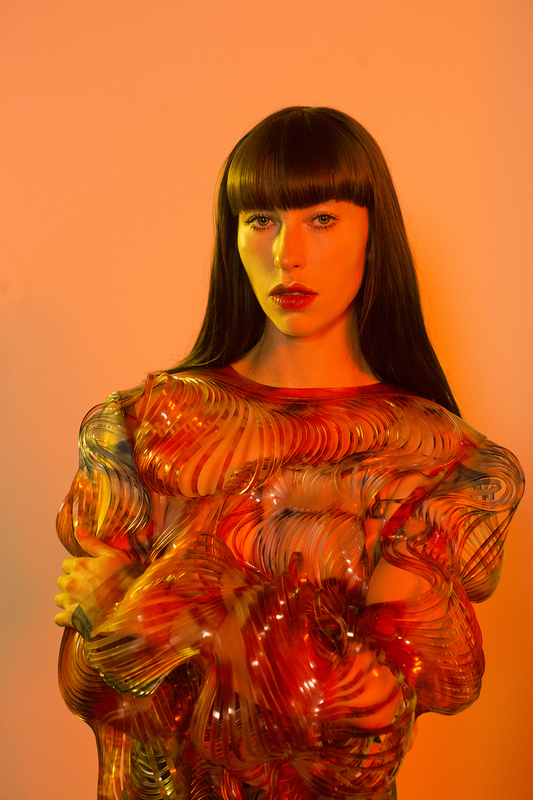 By that point, audiences in Australia and New Zealand new Kimbra well – from music festival appearances, solo concerts, numerous songwriting awards, and her first album, Vows. History is full of one-hit wonders, but Kimbra’s been anything but. At the dawn of 2012, her song “Good Intent” music was featured on Grey’s Anatomy and Rolling Stone declared her “One to Watch.” By April, she was performing with Gotye on Saturday Night Live; come July, she was headlining solo shows in Europe. In August, her song “With My Hands” was featured in Tim Burton’s Frankenweenie, and fall breezes brought with a seeming tidal wave of awards. The momentum has never really gone away, with a critically praised second album, The Golden Echo, and a swelling fanbase. Her third studio album Primal Heart comes out on April 20th; Rolling Stone magazine, fueled in part by Internet previews of select songs, has already named it one of the most anticipated albums of the year. 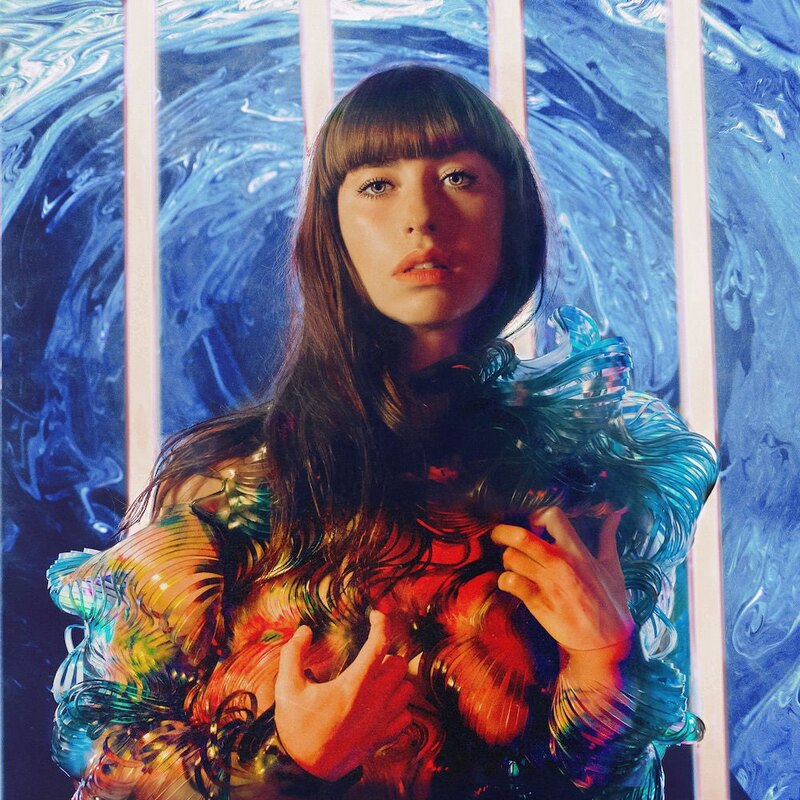 Kimbra’s music is intricately constructed and stylistically pluralistic, drawing on many disparate influences to create a distinctive sound that sometimes recalls the distinctive sounds of artists such as Bjork and Florence & the Machine. Currently, she is based in New York City; the Arts Reader‘s Basil Considine caught up with her to talk about her forthcoming album Primal Heart and her upcoming February 5 concert at the Cedar Cultural Center. Cover art for Kimbra’s upcoming album Primal Heart. I’m in New York, where I’ve been living for the past two years. A promotional photo for Kimbra’s upcoming album Primal Heart. Photo by Micaiah Carter. This being the Age of the Internet, when tracks can be sent back and forth electronically…were the tracks for this album recorded in New York, in California, or…? Both, actually. A lot were recorded in New York, where I have a home studio and where I’ve done a lot of the production from because I live here – but I joined up with John Congleton as co-producer and he’s out in Los Angeles. So I flew out there to work with studio musicians and bring the album to its final completion. It has a bit of both cities. Will you tell me the story of one of the songs on Primal Heart and how it came to be, its inspiration, etc? I’m actually pushing out a song tonight to my fan newsletter. [Editor’s note: This interview took place January 18.] It’s a good example, because it speaks of vulnerability and courage. I think I wanted to be a bit more personal on this record and speak to that part of us that connects us all, which I’ve phrased as the “Primal Heart”. The title comes from a lyric in that song: “I’ve got a heart that’s primal / because I need your love for my survival.” I feel like there’s something that’s very powerful about that sentiment, and that went on to define many of the album’s themes. Something very important to me is that we, as humans, need to speak to each other as connected beings. That we still find ourselves very much like the first humans: able to love, able to suffer, able to transform…all these things. The more we get closer, the more we realize how similar we are. That’s such an important message in the time and political climate that we’re in in America, where it’s so easy to look for division. It’s been some years since your second full-length album came out. Often, songwriters speak of ideas that they carry around for years before the ideas coalesce into something that ends up on an album. When did you first get the spark that became Primal Heart? The thing is, though, that there were so many that were little sketches from years ago that I resurrected with or pulled up in a new way. For me, it’s an ongoing process from finishing one album and beginning the next. Another promotional photo for Primal Heart. Photo by Micaiah Carter. Can you tell me a little more about your writing process? When you first, for want of a better phrase, “make a record” of a song, what does that look like? Are you sitting down with staff paper and a pencil, singing into a recorder, or…? It’s a combination. It’s very common for me to be constantly recording ideas on my iPhone recorder, since it’s always on me. I collect a lot of sketches that way. I also have notebooks that I keep; sometimes one lyrical phrase will come to mind [from them]. I trust that that seed is being planted the first time that I write it down, and of course I have to also trust that it will again return when the time’s right. That it will come back with a longer-form narrative that I can write a song around. I really think it’s important to consistently be putting down whatever thoughts come to mind, because you never know when it might pop back up after it’s been kicking around in your subconscious. Do you therefore have times where you sit down and go back through those recordings and notes to remind yourself about those ideas? That’s exactly what the process is: I go back through the recordings. Because I produce as well and put down beats, I might even go back to one of those recordings and even sample some small thing that I put down – a sample, a phrase – and begin to write. I also go back into ProTools sessions where I’ve started the beat but stopped being inspired and let it go, and now at 27 [and revisiting the material] I think there’s something in the beat, and begin developing it again and partnering it with lyrics that I’ve written previously. This is a pretty typical process for me. At what stage do you decide, “I’m not just going to record on my iPhone, I want to go in and do a studio recording with clean vocals, acoustic isolation, and all that”? Is that an early step when you’re jotting ideas down, is it later when things are more refined, etc? I have a home studio, so I can move pretty quickly from my iPhone to a studio recording. If I think it has potential, I’ll jump straight on a mic, program a basic beat, get my guitar and put down some basic chords, and begin the song. What I have setup at my home is pretty good and gets me pretty far. In fact, a lot of the songs on the album are things that were first realized in my apartment. But, there comes a point where I want to get, for example, a different approach on drums. That’s the point where John Congleton came in. I flew out to LA, we went to EastWest Studios, and brought in live musician who gave the tracks more life. In terms of making the songs into studio recordings, I try to do that pretty quickly and then work out what was missing, and then bring the right people in to realize the final vision. 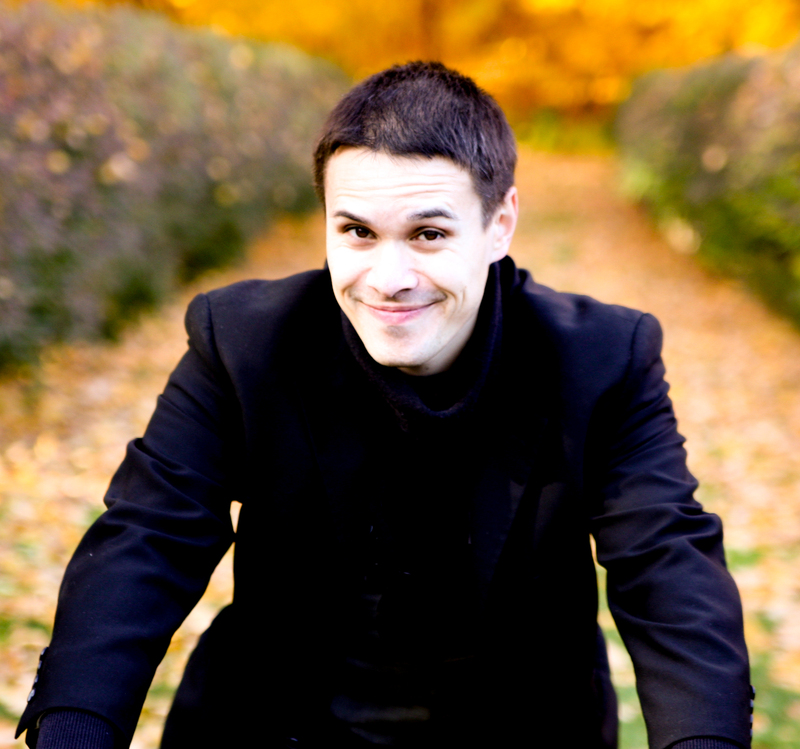 You mention that you put together beat tracks and such as part of your early recording process. Is that something that you acquired on the job, as it were, or as some part of formal musical training before your career took off? Where did you get that skillset that allows you to do what you do? It was really out of necessity. I left New Zealand when I was 17 and moved to Melbourne with a management recording contract. My manager at the time set me up with a Pro Tools rig in my bedroom so that I could start recording demos. He knew I was quite savvy with technology and had done a lot of stuff with pedals, but I hadn’t ventured yet [back then] into a computer rig. To be honest, though, I was getting practice earlier in making demos with guitar and looping my voice using pedals, so I was dying to find a new way to present songs. I don’t remember having any teacher – out of necessity, I just jumped in and started navigating my way around it. I maybe watched some YouTube clips, invited a friend over who I knew was savvy at ProTools…but pretty much since I was 17, I was diving into it. Now, being 27, that’s a long time using ProTools, so I feel now like using software is like an extension of my body when I’m writing. Are you also working as a producer for other people’s music? Not yet. I’ve certainly been another set of ears for other productions, and other people have trusted me on giving a technical standpoint on an idea for something. I’ve certainly helped some other artists get started with songs, but it’s not something I’ve done yet – to take on producing a full album. It’s certainly something that I’d love to do, and that I think I’d have a lot to offer an up-and-coming artist. We’ll see. As far as touring and songwriting are concerned, are these things that happen well together? Can you work out songs while actively touring, or do you need to take time away to do it? It’s certainly happened in the past… When I was working on my first album, it took so long for me to get that album out, that I remember being dying to start on new material. So I started working on it on the road and being in the back of the tour bus, writing ideas for The Golden Echo. I’m about to go on tour now, so we’ll see how it is now. I don’t know if I’ll be so busy that I won’t have the time. I often find that I’m often inspired by the experiences I have on tour, but if you don’t write them down…they might run away from you. You have to be ready at any time. When you tour, how large is the production? The last time that I toured Minneapolis, I had a full live band on stage, including a live drummer, but I decided to go with a more intimate approach on this next one. On tour, I’m sort of the master of this spaceship in front of me – a series of gadgets that help me trigger and manipulate the drums and lots of vocal effects. I also have two guys on either side of me who are doing really amazing synth work and playing various instruments – they go between bass, keyboard, and guitar. This tour is also a very visual show. Having fewer people on stage has allowed us to up the stage design and visuals. It should be a really great and exciting multimedia show for people, and I’m so excited to showcase the new songs – that’s where my heart is at right now. So even though your new album is dropping April 20th, audiences at the Cedar Cultural Center on February 5th will be able to hear some of its songs? Oh, yeah – it’s the big focus. I’m hoping that fans will also be really excited about that, too, because there’s certain material I really want to play for them right now. I think it’s exciting to share the new music live with them before the record even comes out. Are there any songs from your previous work – or covers of songs by other artists – that you will be working into the set? There’ll be some old stuff, too, but the focus will be on the new songs. One of these is a new song that won’t be on Primal Heart, but is one of my favorites right now. I just released it to fans on my email mailing list (so if you sign up for my newsletter, you get it for free). I think of this song as my little baby who didn’t get along with the big guys…even though it’s not going to be on the record, I’ll still play it in the live show – and I think it’s going to be a fan favorite. I like playing covers, but the focus right now is on my new music. Are there any particular reasons that “Hi Def Distant Romance” was cut? Does it not fit thematically or tonally with the rest of the album? What it really comes down to is that we had too many good songs. There were too many tracks that we all loved, but we didn’t want to end up with a really, really long album. We wanted to keep it tight, and it felt like this song might have a different life than the others. I might still put it out on an album after Primal Heart – I certainly plan to put it out on Spotify and things like that. It was a bit hard not to have it on the main record because I was so emotionally attached to the song, but in the scheme of it, cutting just one song is the only compromise that I’ve had to make on this record and that’s quite good. I’m very lucky compared to artists who have less control and have to put out a bunch of songs that they hate! Ultimately, after the decision was made, I decided to share the song with my mailing list. In a way, that’s the most personal way to share it – to just give it to my fans. And you can always put it in a Rarities, B-Sides And Other Stuff album like Sarah McLachlan. Exactly. I’m going to find a way to do something really special with it. When does the tour kick off? The first show is January 28th – that’s in Boston. Then it’s New York, and then after that we head off for the other dates. Do you have any plans to do a live album based on your touring performances? I’d really like to and it’s certainly possible. When we tour, I get a recording that I can listen to at the end of each night. (I listen to this recording and think about how I can improve things.) Those all go on a hard drive, so there may some day be a live recording…but for now, it’s all for self-reference. We’re all on a tour bus. I like being on it! We’re very close, the band and the crew – they’re kind of your family while on the road. It’s a lot of fun, but we all get along – which is the most important thing when you’re on a tour. I’ve also toured with many of these people before. For example, the guitarist’s been with me since Day 1, so that’s a very close relationship! Kimbra performs with special guests King and Arc Iris at the Cedar Cultural Center in Minneapolis, MN on Monday, February 5, 2018. Doors open at 7 PM; music starts at 7:30 PM. $25 general admission.